Such fashionable and creative essential oil tube packaging box, in small design for 30 ml is ideal for package for give-away items. Made by 200g cardboard and 60g chrome paper, the tube box in black is both robust and impressive, which will give a good effect of visual attraction, while the structure is enough robust to ensure a good protection of goods inside. In many cases people take this package as package for exhibition gifts, such idea can without doubt reinforce the impression of visitors of one company’s stand. As for the printing, it combines full-color printing, 3d printing and hot stamping technology, making the appearance very exquisite and attractive. 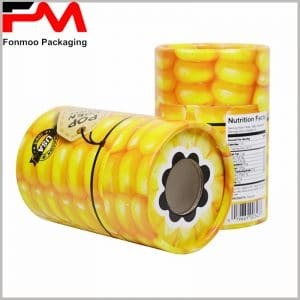 Now, if you are interested in getting some kind of your special package, based on such design and structure, just get in touch with us and tell us what you need, our team is always stand by for responding to your demands, and will act quickly to provide you your unique fashionable 3D creative packaging box.